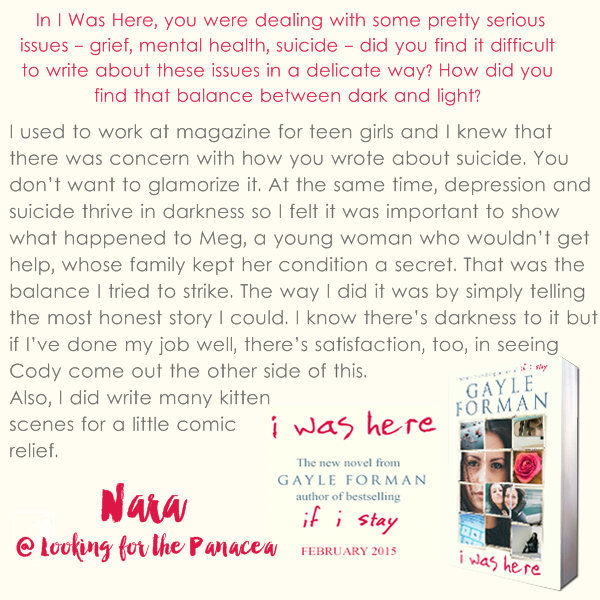 As part of an exciting opportunity with Simon & Schuster Australia, some of us Aussie bloggers were given the chance to interview the fabulous Gayle Forman, author of If I Stay, Just One Day, and most recently I Was Here. 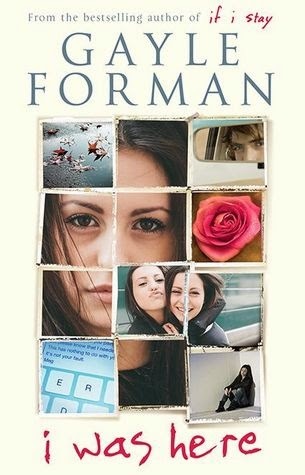 I Was Here was a book that I enjoyed very much, in fact, it has been my favourite book of Forman's so far, and I was pretty excited about being able to interview the author of such a gem! We all got to ask Gayle one question; these questions will be revealed throughout the week and the full interview with all the questions will be posted on the Aussie YA Bloggers blog on March 8th (link to that will be below). Without further ado, here's my question! Thanks to Kelly @ Diva Booknerd for making all the lovely graphics! Have a look at the full interview when it goes up on March 8th here!